HONOLULU — A judge has thrown out a lawsuit that accused several churches in Hawaii of defrauding the government. The suit, Kahle v. New Hope International Ministries, was filed by atheists Mitchell Kahle and Holly Huber in March of this year. 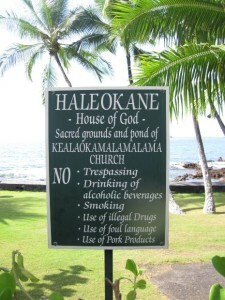 The complaint filed in the First Circuit Court of Hawaii asserted that the churches collectively owe the government $5.6 million in that they filed false applications to obtain discounted rates and have used the facilities for longer than their contracts allow. Kahle and Huber lodged the complaint under the state’s False Claims Act. But in October, the Christian legal organization Alliance Defending Freedom (ADF) filed a motion of dismiss the suit, stating that Kahle and Huber had failed to establish that the churches had presented any false claims. On Thursday, ADF appeared at a hearing to argue on behalf of two of the churches, One Love Ministries and Calvary Chapel Central Oahu, which the organization states have paid all agreed-upon rents. Other legal groups represented the remaining churches. Co-counsel James Hochberg of Honolulu agreed. “These churches have not only faithfully paid all of their rent, they’ve sacrificially given much more in service and funding to the schools and communities they love,” he said. Following the hearing, Judge Virginia Crandall agreed with ADF that there was insufficient evidence to prove that the churches have violated the law. However, she also permitted Kahle and Huber to refile the lawsuit with more specific details in regard to the accusations. Attorney James Bickerton, who represented the atheists, told reporters that he will refile. But ADF said that it will file also, and will again ask the court to dismiss the charges.